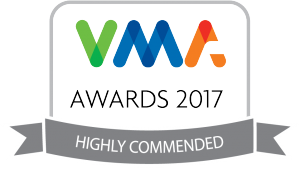 UPDATE: March 2018: This marketing has been awarded ‘Highly Commended’ at the UK’s Veterinary Marketing Association Awards. MDC is an SME founded over 50 years ago. They make and sell humane animal handling and care products. Previously they promoted themselves in print only in an ad hoc manner. An initial survey of customers helped us to identify demographics along with the key stakeholders and a greater understanding of their buying habits. We developed a strategic plan with marketing objectives. 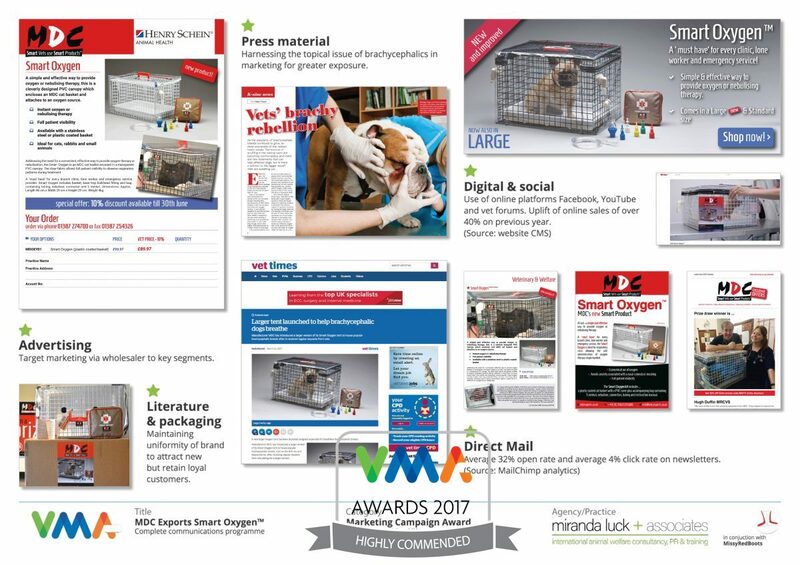 Work included professionally re-photographing and the repackaging of all products, updating the product literature, the creation of a new catalogue and specific product focused exhibitions at events such as London Vet Show and BSAVA Congress. The aim was to maintain a constant theme throughout. With a very limited budget, we decided on using multiple channels and leveraging low-cost options to reach the target audiences. At the same time, seizing opportunities to promote specific products. Being aware of the Brachycephalic Working Group and their advice on the use of brachycephalic breeds in marketing, we ensured all such images were replaced. The exception was for Smart Oxygen (used by this type of patient). In this instance, we took advantage of the situation releasing PR and associated cross-platform marketing including videos.